It doesn't just play video games. It makes them. There are many video game companies around these days, from established names to indie developers. Just when it seems that everyone with the ability to create video games has tried it out, researchers from the Georgia Institute of Technology have introduced a totally new, first of its kind developer. In a research paper published online, the Georgia Tech team showed how artificial intelligence (AI) can be used to make a video game. 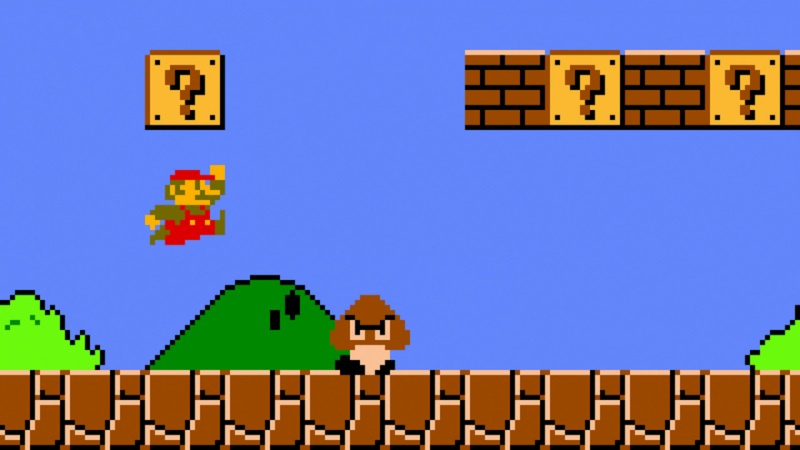 More specifically, remake a video game: the team’s AI recreated classic two-dimensional titles, like Super Mario Bros and Mega Man, just by watching the games being played. While the Georgia Tech AI didn’t recreate full-blown versions, it did demonstrate that AI can learn the game engine behind these classic titles. This ability to actually recreate the game it sees — not just learn how to play it — makes it different from similar game-playing AI’s like DeepMind’s AlphaGo, systems that play Atari games and StarCraft II, and Elon Musk’s Dota-playing bot. There are, of course, limitations to consider (we don’t want to over-promise here — like No Man’s Sky). Georgia Tech’s AI didn’t learn everything from scratch. From the onset it was equipped with a visual dictionary of all the in-game sprites, as well as a set of basic concepts — such as the position and velocity of objects — in order to analyze what it would see. “In this work we present a novel approach to learn a forward simulation model via simple search over pixel input,” the researchers wrote. Simply put, their AI learned to make the game by watching thousands of frames and pixels of gameplay, which involved observing changes from one frame to the next in order to establish a cause and effect link. Eventually, the AI learned enough to build small rules, which helped it approximate the game engine enough to recreate it. While the resulting recreation is still glitchy at best, the underlying mechanism employed by this Georgia Tech AI could actually have useful, real-world applications. As the researchers wrote, “Intelligent agents need to be able to make predictions about their environment.” It could prove helpful in autonomous systems used in self-driving vehicle technology, for example. It could also be useful in finally developing AI that can make sense of the world like human beings do. That would take time and much work, obviously, but perhaps recreating 2D games is a small step in the right direction.